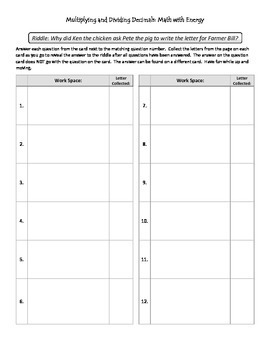 Self-assessment is a great tool for teaching the students to assess their own knowledge of multiplying and dividing decimals. 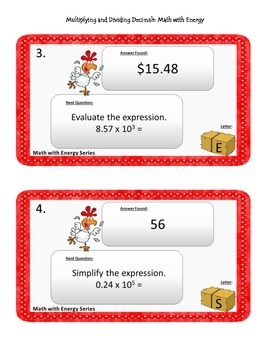 When students continue to find the correct answers on the cards, they gain confidence in their ability to master the math concept. 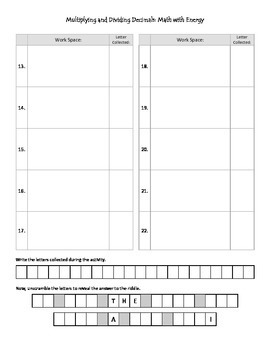 This activity includes 22 cards to post around the room, student answer page and answer key. 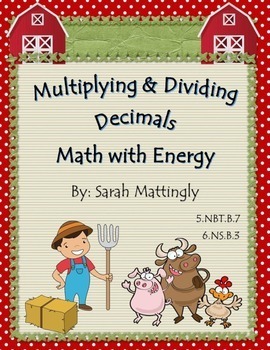 This activity aligns with Core Content Standard 5.NBT.B.7 and 6.NS.B.3 for multiplying and dividing decimals.